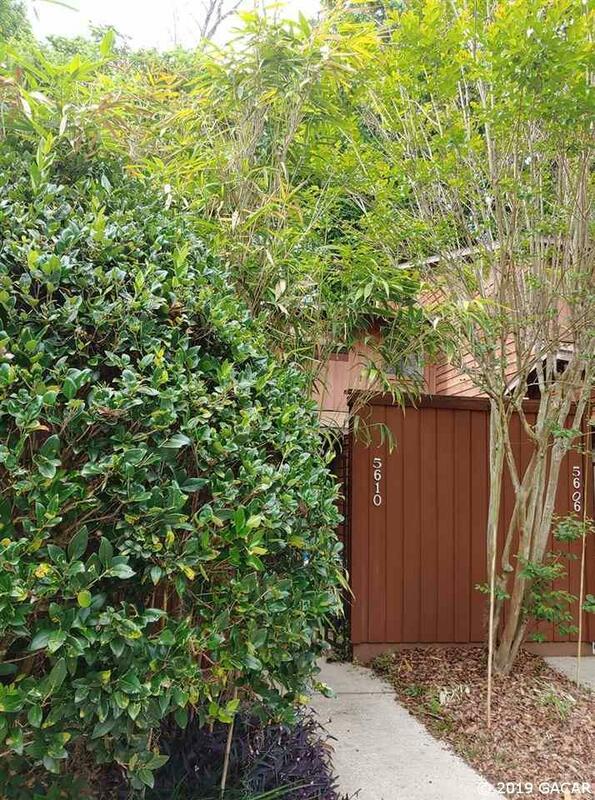 Updated 3 bedroom, 3 bathroom townhome located in the community of Rockwood Villas. Features include engineered hardwood flooring throughout common area and carpeting in the bedrooms. Kitchen displays gorgeous wood cabinetry and stainless steel appliances. Newer vanities in all bathrooms. Relax in a screened in patio overlooking a secluded wooded area. Community amenities include a swimming pool, tennis courts, and a sand volleyball court. us stop at the community entrance. Also located within a short drive of Newberry Road. Washer and dryer included. Pets are welcomed, no more than two.